Welcome to Year One’s Page! Stay tuned for some exciting updates over the year! Our annual Inspire afternoon is a great way to meet the year one staff and hear more about the year one curriculum. All parents/ carers are encouraged to attend this session as it is a good opportunity to ask any questions you may have after the first few weeks in school. Please make sure you sign in for Class Dojo. 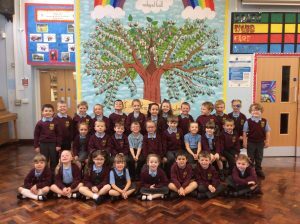 We encourage all parents/carers to follow our class story on dojo for important updates. 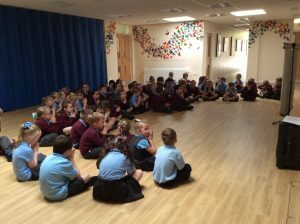 Key Stage One have Collective Worship together every Wednesday. This is time for the children to reflect and connect with God.